The Lion’s World builds on a series of lectures that Williams gave at Canterbury Cathedral in Holy Week 2011. In the book, he answers some of Lewis’s critics and shares some of the ideas in Lewis’s writing, especially the Narnia books, that he has found especially meaningful. Although I grew up as a voracious reader in a Christian home, I, like Williams, didn’t read the Narnia books as a child. After seeing a cartoon version on TV, I did read The Lion, the Witch, and the Wardrobe, but I stopped there, mostly because the descriptions of the later books that appeared on my copy of Lion did not mention Aslan, and a Narnia book without Aslan seemed like a waste of time. (I did not, I should add, get the religious symbolism, being only seven years old and reading the book entirely on my own.) So it wasn’t until college that I returned to C.S. Lewis, and at the time, I was newly invested in questions of faith and wanted overt religious teaching. I wasn’t bothered by the obviousness of the message. Today, I’d prefer more subtlety, but in this book, Williams shows that the Narnia books are more subtle and complex than they may appear at first. To try and map the entire set of stories on to a single theological grid is difficult. As I hope to show, there is a strong, coherent spiritual and theological vision shaping all the stories; but this dos not necessarily mean that they must all be read as self-conscious allegories of theological truths … Lewis repudiates the idea of reading the stories as allegory and instead suggests that they answer the question of what sort of Incarnation and redemption would be appropriate in a world like Narnia. If you press the theological questions too hard, you’ll end up in a mess. What’s important are the stories. It’s theology through narrative and imagination, through thinking of what it’s it like to be in the presence of great power and great good, to know you’ve done wrong in the face of such power, to be part of a world that’s bigger on the inside. These are stories about seeing the truth about yourself and being given grace and love even when you don’t deserve it. Williams writes that Lewis “wants his readers to experience what it is that religious (specifically Christian) talk is about, without resorting to religious talk as we usually meet it.” It is true that Lewis uses a great deal of Christian imagery, but some books have surprisingly little obvious Christian symbols, are there’s also a lot of pagan imagery. It seems like Lewis uses whatever works for the story, and even if it’s sometimes heavy-handed, those moments don’t predominate. As for some of the criticisms regarding depictions of foreigners and of women, Williams doesn’t let Lewis off the hook, but he does put those depictions in context, pointing out that Lewis was a man of his time, and he was drawing upon literary traditions from before his time, with all their flaws. In writing about the much-discussed problem of Susan, Williams notes that Lewis wrote to a reader that he did have hope that Susan would find her way back to Narnia, and he encouraged her to try to write how it would happen. I found the idea of C.S. Lewis encouraging Narnia fanfic back in 1960 to be utterly charming. I wonder if anyone has written that story. 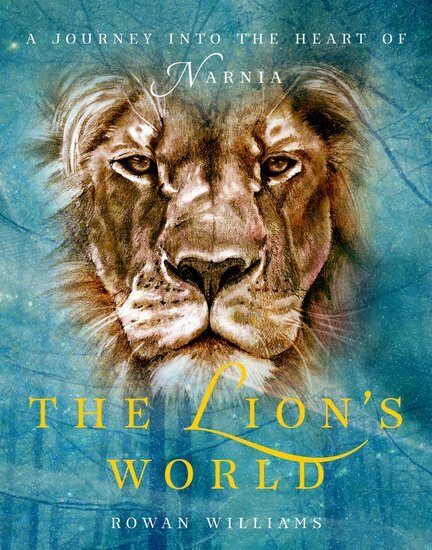 It’s been a long time—probably about eight years–since I’ve read the Narnia books, and I’ve worried that they would lose their luster for me now that my own theology has become more complex and I’ve become more aware of the criticisms of the books. But Williams helps me see that even a jaded adult like me can find a lot of value in a good, imaginative story. I need to read these Narnia books! Lovely review! They’re wonderful books, and this book helps me appreciate them even more. Please don’t reread them. That’s my advice. I reread Voyage of the Dawn Treader a few years ago. I remembered a wonderful adventure story. It had been my favorite of the series, the one I read over and over again. Reading it today, I could see why I liked it so much when I was nine, but I could also see the-man-behind-the-curtain. I’d disagree with your advice not to re-read. I’ve re-read them at a number of ages and stages (most recently reading them to my own children) and have of course critiqued them, but have also really enjoyed them. Secondly, I wonder if seeing the man behind these books isn’t a good thing. Why shouldn’t we see him and what he wanted to make people think about and feel when he wrote, and how he did it? I can see the man behind the curtain in Philip Pullman’s books, in the Lemony Snicket books, in Anthony Trollope, in Margaret Atwood, in Charles Dickens, and even occasionally in Nabokov. It doesn’t make the books worse. It’s just part of what the books are and how they were created. I’ve gotta say, I agree with Jenny about seeing the man behind the curtain. In some cases, that can be a problem, but not necessarily. With Lewis, a lot would depend on your feelings about the man, and I have a lot of affection for Lewis, so seeing his personality slip through is not a problem for me. His ideas were complex and evolved so much over time that seeing things I don’t like in his writing–and there are plenty of things I don’t–doesn’t offset the pleasure I find in what I do like. That’s one of the things that Williams gets at in this book. Then, too, I didn’t ever have the experience of seeing the books merely as adventure stories. I was probably close to 20 when I first read most of them. So it’s different for me, I think, than it probably was for you. In my case, a lot of the conversation around the Chronicles that I’ve seen the last few years has been about the more problematic elements of the books, and this book reminded me that there’s a lot more to them than that, and that an intelligent, critical reader can find a lot of value in them. I discovered or was introduced to the Narnia when I was 14 or so. I was aware of the Christian elements but read them mostly as wonderful adventures (except for The Silver Chair, which I just cannot like). On some level I still read them that way. I’m hoping one of our library systems will have this book. I do think they can be read in both ways. If they didn’t work at all as stories, I don’t think people would still be reading them. Yes! Yes! This. This is why these books for me. I find it really touching that Lewis wants to write a story that captures some amount of his own experience with God, without its being exclusive. And I know he doesn’t succeed in not being exclusive, because he’s kind of a jerk in a lot of ways, but I still think it’s a lovely attempt. I know a lot of people see what he’s doing as sneaky, but is it sneaky to try to tell a story that conveys something important to you? Isn’t that what all writers do to some degree? One of the things these books do incredibly well, possibly better than any fantasy books I’ve ever read, is to show how great power and great good can exist together and be both terrifying and reassuring. It’s so, so hard to get that right, and Lewis pretty much does, so I can’t get too upset about the areas where he stumbles. I read all of them when I was 7 or 8 (got the boxed set for Christmas!) and adored them except for Silver Chair & the Susan issue. I was completely oblivious to the Christian message until a couple years later, but I’ve reread them ever since and still love them. I cannot resist Aslan, even while I see & am saddened by all the racism & sexism & etc. So many books, especially older books, have racism & sexism in them that I think I’ve gotten used to holding a kind of contradiction in my head: 1) this story is beautiful & true & compelling alongside 2) this book includes deeply problematic race/gender/sexuality/etc. elements. Anyway, I read & loved The Magician’s Book so I’m curious about The Lion’s World, esp since the author has such a different background! I take the same approach when it comes to racism and sexism in older books. I also often imagine that the authors in question might have thought differently had they been born in a different time and place (just as I might have). In the case of Lewis, a lot of his ideas did change over time, so it’s easy to imagine him handling some things differently today. I’ve been considering reading The Magician’s Book for comparison to this–I imagine there would be lots of differences, but perhaps some similarities in the way they react to Lewis’s critics. This, of course, was focused on Christian themes, but it was neat to see them explored in a more complex way than just Aslan = Jesus. P.S. 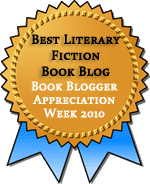 It’s rather intimidating to post a comment on a blog focused on writing! Jeez…on my blog, we just talk about postcards!